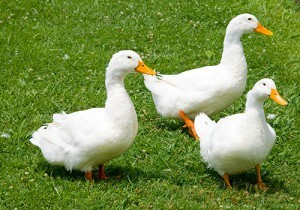 The 2Agriculture duck feed range suits all breeds of commercial ducks. Diets are designed to produce good quality meaty ducks whether they are for roasting or enjoying as part of the ever popular dish ‘crispy duck’. Formulated using the highest quality ingredients the diets support each growth stage of the flock at each stage prior to finishing.